In a series of campus conversations, the Kaplan Institute asks: How can we speak truth to power—and whose truth counts? Harvard University professor Naomi Oreskes will address the politics around the discussion about climate change. Oreskes is the author of Merchants of Doubt: How a Handful of Scientists Obscured the Truth on Issues from Tobacco Smoke to Global Warming (Bloomsbury Press, 2010). In an era that has given rise to terms such as “alternative facts” and “the reality-based community,” that is a timely — and surprisingly provocative — question. 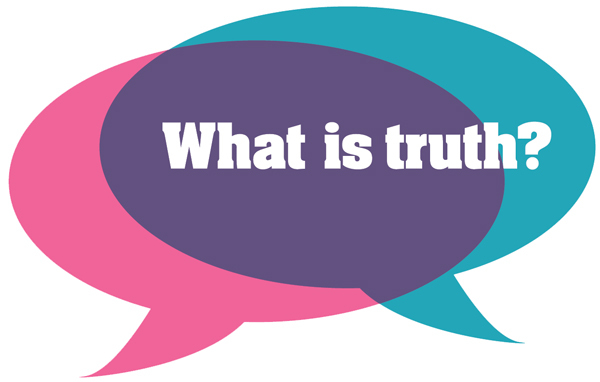 The College’s Alice Kaplan Institute for the Humanities is exploring this topic from a variety of perspectives in the 2017–18 Truth Dialogues, a series of public events that will take place throughout the the year. “We want to bring the Northwestern community together around some pressing social, political and environmental issues and discuss ways to move forward, because the stakes of truth-telling are especially fraught at this time,” said Jessica Winegar, interim institute director and the Harold H. and Virginia Anderson Chair in anthropology. Since September, the institute has partnered with departments and programs across Northwestern to bring a variety of noted writers, philosophers and political observers to campus. Our Racial Divide; and Northwestern professor of history and African American studies Leslie M. Harris. Other noted speakers have included former Northwestern history professor Nancy MacLean, author of Democracy in Chains: The Deep History of the Radical Right’s Stealth Plan for America; Katha Pollitt, columnist for The Nation, who discussed the influences on abortion politics; and political scientist Linda Zerilli, author of A Democratic Theory of Judgment. The events prompted lively exchanges with audience members over the nature of truth and its implications for civic life — which was among the series’ goals. “Humanities scholars have a particular duty to contribute to the current public debates regarding how truth gets constructed and deconstructed,” Winegar said. In 2018, the series will continue with more conversations, including two major keynote events (see sidebar). All events are free and open to the public.